There are no rooms available at Dunmara for these dates. The view out of the lounge window is awesome! A great centre from which to explore the south of the island. Everything you need is there, you won’t need to use the wood burner but it really makes the place extra cowry in the evening. There is a large Coop in Broadford which you will pass on the way to the house. There is an even larger Coop in Portree which is about 25 minutes away. Local traffic ignore the speed limits and tend to be a bit mental but other than that, can’t wait to go back. location of the house is great view from the window in then sitting room priceless. We had a wonderful stay at Dunmara. A great, well-equipped cottage in a really good location. Breakfast each morning sat in front of the living room window taking in the view! We loved the powerful shower! Communication ahead of time was really good. Great value for money. We packed a lot in! 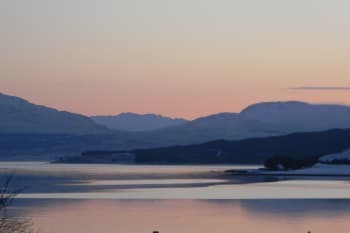 Boat trip from Elgol to Coruisk; Old Man of Storr; Neist Point; Stein Inn; Dunvegan Castle; Portree; Fairy Pools; Talisker; Otter Hide at Kylerhea; Mallaig to Fort William train; beaches at Arisaig. 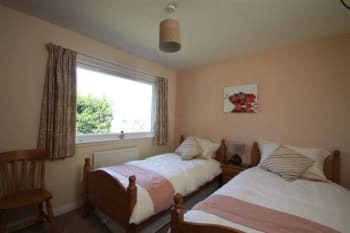 The house is clean and in a fantastic location to visit many places of interest. It is spacious and includes all amenities needed to cater a large group! Wonderful House, with everything you could possibly need. 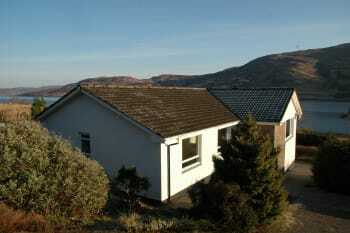 Excellent location with beautiful views over to Scalpay. Thhe pictures on the website don't do the house justice. Hi, Thanks for your kind words and I’m glad the cottage served you well. I agree with your comments about the website and we are busy adding some more picture etc to update it a little more. Thank you. 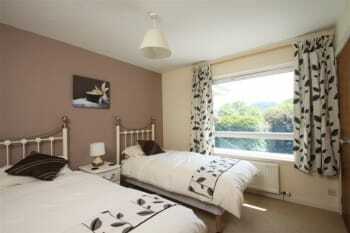 The bedrooms are nice, with plenty of space. As is the sitting room. There are a bunch of maps, books, and leaflets about things to do on Skye. There are plenty of dishes, make sure to look in the lower cupboards. 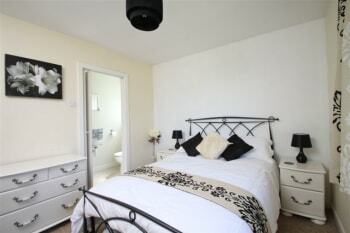 The cottage is very well appointed and in an ideal location. There are beautiful views from all windows! It is very comfortable and the kitchen had everything we needed. Broadford is convenient and has a number of restaurants. We particularly enjoyed the café/delicatessen (the one opposite Creelers Restaurant). 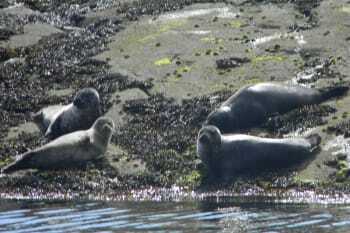 In terms of activities: Armadale Castle and Gardens; Dunvegan Castle and Gardens (and boat trip to see seals); and boat to Raasay. All of us were very impressed with the cottage and would be perfectly happy to stay there again. The only issue was that we would have liked more mugs, as it saves us having to run the dishwasher as often. Your drying room was superb! The Seumas bar at Sligachan is well worth a visit. Thank you for your kind comments about our cottage - we’re glad that you enjoyed your time there. Further to your comments about the mugs we have added 6 more to the kitchen. Thanks for your e-mail and review Jon, we're glad you enjoyed your stay. Kieron & Jackie. The cottage is spacious and well appointed. The view is stunning and we are definitely looking at a return visit next year. The only downside is that there are no pubs or restaurants in walking distance but it's only a few miles if you want to get a taxi. Thank you Julie, I hope you had a good time up there. I agree with the comment about the pub - but on the bright side you don't get disturbed by any noise. Thanks again Kieron. The view from the sitting room was just wonderful. We liked the fact that you had supplied OS Maps for the Island - we found them very useful when deciding what walks to do. We also liked the idea of the drying room for our walking clothes and boots- we used this a lot. First time for us in Skye. Wonderful scenery and walks. We are definitely coming back again next year. Parking slightly difficult for 4 parties of 2. A sloping drive and one couple brought their campervan. A drive to Broadford necessary to eat out. Old Man of Storr was incredible especially as it was a clear sunny day - a must do on Skye. The fairy pools was a great walk - we did the full circuit and thoroughly enjoyed it - especially with a glass of Skye black afterwards! We walked every day and every walk was different and beautiful - a really lovely part of the UK. Ate out at The Harbour in Broadford which was lovely -fresh seafood and excellent seafood. Equally as good was The Claymore - spoilt for choice! Thanks Kay, We're glad you enjoyed it. It really is a fabulous part of the UK isn't it! A spacious house on a very nice location. Very well appointed house, excellent facilities. We particularly enjoyed all the maps and guidebooks. Children enjoyed the films and the board games too. The only thing to suggest would be some better knives in the kitchen, but otherwise everything was great. 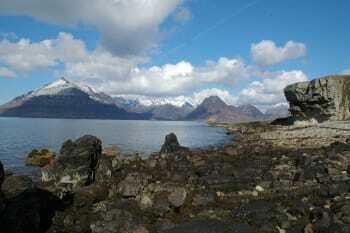 The boat trip from Elgol to Loch Coruisk and the Quiraing walk were our favourite trips. Well equipped, beautiful location, highly recommended . Convenient location with stunning views. 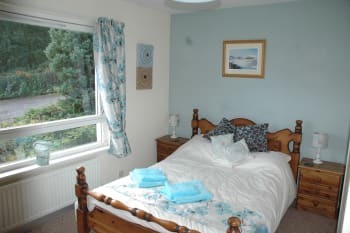 Good sized, well-equipped house with comfortable rooms, particularly lovely sitting room with loch views. Easy access from Broadford and easy to get around the rest of the island. Wi-fi, travel information, drying room, parking for 2 cars, games, TV, excellent showers all really useful. Talisker distillery very interesting. Kinloch Lodge - lovely food and atmosphere. Co-op in Broadford very handy. Eilean Iarmain Hotel - very lovely for afternoon tea. Q'uarraing ridge - great short walk. house comfortable with plenty of space and well equipped. good selection of guide books and maps provided. The double mattress in the room on the left at the end of corridor was a bit uncomfortable though. We liked to stay at Dunmara very much! Dunmara is a very good place to stay, if you like to explore the whole Isle of Skye. Nearly every place of interest can be reached within maximum an hour. 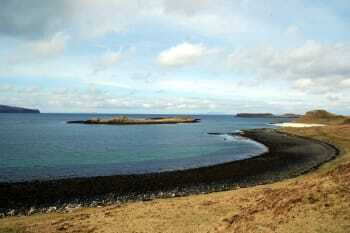 Also the fact, that Broadford is only a few km away, you are able to organize your Isle-holiday very easily. There is a supermarket, a bank, restaurants... Because of the nearby main road, I would not recommend to walk from there, so you need a car. But especially at night there is no traffic and very quiet. There is no path to the beach (but nevertheless you can manage to walk there). Dunmara is very well equiped and the view from the lounge is outstanding! To sum up: Good value for money! Recomendation for cafe/restaurant: Cafesia in Broadford: Excellent coffee and fresh pizza (wood fired oven). Really impressed by the attention to detail with regards to how well equipped the cottage is, only thing we missed was a cheese grater! Very spacious, clean and well appointed. We did get scolded by the Starlings nesting above the front door when coming and going a few times, all added to the attraction for us. We were treated to red deer feeding on the shores of Scalpay from the windows too. Correspondence and instructions from the owners was very good. I would definately recommend this property. Note: the driveway is sloped and you have to do a hill start onto the main road. Excellent stay. Great location and views. Wonderful house with fully equipped facilities. Great view towards the loch, like living in a picture. Fairy pool is a must to see! Very professional, would certainly consider again for any future visits to Skye. The view from the front room is unbelievable and could sit in comfort all day long looking at it. (We didn't as there was so much to do on the island but we always marvelled at it when we were in). Perhaps a bigger outside rubbish bin or two as when we arrived the green one was already full meaning that we had a couple of trips to Broadford in the week (when we were passing anyway so not too big a deal)to dump the rubbish. We did feel the bedrooms on the rhs as you walk down the hallway could do with a minor spruce up but overall impression was excellent. Thanks very much, we all had a fantastic holiday and were lucky with the weather. The Misty Isles boat trip tour from Elgol to the Loch below the Black Cuillins was fantastic, very much a family run business. 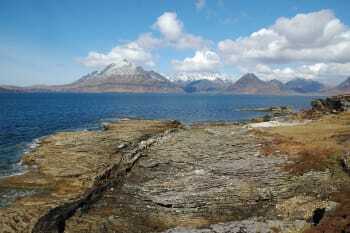 Plentiful walks on the island including the Old Man of Storr, coastal walk in Glenbrittle to the secret Viking base. The cottage is beautiful and in a perfect location! Would recommend to friends and family. I would go to Eilean Donan Castle it was a good day out. Excellent accommodation. Lovely location with beautiful views. Well situated for those wanting to walk in the hills. Supermarket and fuel about 3 miles. The cottage was great, we were all very comfortable and everything we needed. We enjoyed our stay in Skye very much. 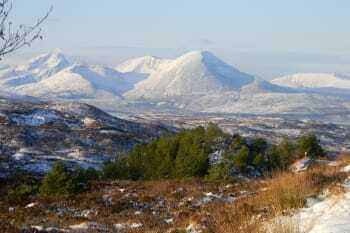 We would recommend doing the Fairy Pools walk, visit to Clan Donald and Dunvegan Castle. There was lots to do all over Skye. A lovely experience I honestly cannot find a con to say. The price is right. It is very clean and home-y. And it has a beautiful view of the Loch. great house, wonderful location, owners have thought of everything you might need in the house. One comment for feedback - my three children complained that there was something jaggy around the threshhold of the door to their room (twin room facing front) and at Bedroom 1 - they were barefoot at the time - on further inspection the carpet track is actually protruding in some places around the threshold - which resulted in a few jags in their feet and my fingers ! Slippers were worn after that - however thought it worth a mention. Fantastic property and could look at that view forever !